With roots in 12th-century China, tai chi is a form of moving meditation that can help both your body and mind. You may have seen practitioners in parks in your town or in movies, gathered in small groups, following along in a sort of slow motion martial arts training. You can do as few as 24 or up to 108 movements in a tai chi routine. There are three key components to any tai chi sequence: movement, meditation, and deep breathing. Like yoga, breathing is just as important is performing the movements–and getting the two into harmony is where the greatest benefits are found. While tai chi has been popular in China for centuries, western doctors and researchers have been studying it more and more over the past twenty years to see if the activity holds up under scientific scrutiny. What they’ve found are five areas where tai chi has proven benefits. Tai chi can be as effective as neck exercises for persistent neck pain, based on a twelve-week study published by the American Pain Society. It can also help with back pain, as the deep breathing involves the musculoskeletal system in a low-impact way. A study from the Hospital of Special Surgery, focused on older women, found that participants felt 10% less joint and muscle pain after participating in tai chi classes. A University of North Carolina study found that arthritis sufferers who participated in twice-weekly sessions of seated or standing tai chi, showed moderate improvements. Their balance and reach improved as well. 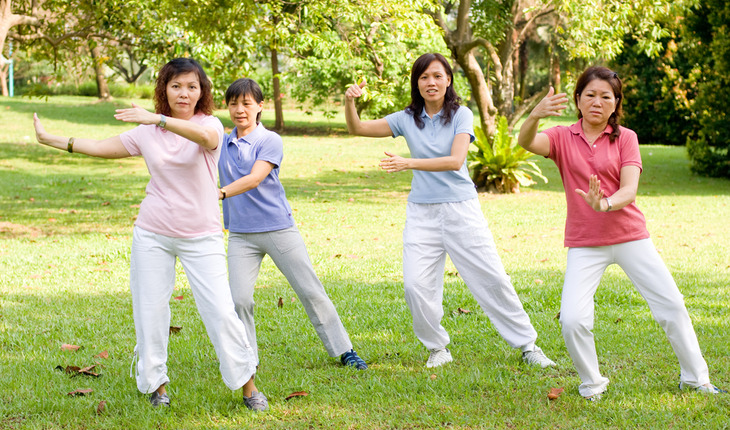 Tai chi can also help build the muscles around arthritic joints, strengthening the area and helping prevent injury. All forms of exercise have been found to be effective to prevent bone loss in women after menopause, but there’s been discussion about if you need to have added weights. But activities like walking and tai chi also improve bone mineral density and reduce the risk of bone fracture, even for those who have been mostly sedentary. Not being able to sleep is annoying on its own, but it also increases your risk of disease. The University of California, Los Angeles studied tai chi compared to cognitive behavioral therapy for treating insomnia. Other than medication, behavioral therapy had been the best treatment. But researchers found that tai chi was just as effective and those effects lasted for over a year. With three months of instruction, tai chi even worked better than medication, relaxing the body and slowing breathing. Over and over, studies find that tai chi can help patients with different illnesses improve their sense of well-being. Tai chi lowers stress and gives people back a sense of stability and peace. It can make you feel less lonely, decrease levels of the “stress hormone”cortisol, and generally improve your mood. It may seem difficult to measure, but researchers truly do ask about quality of life–and tai chi seems to be pretty good for it, time after time. If you want to learn more or try out a tai chi class for yourself, the American Tai Chi and Quigong Association is a great resource. You can look for instructors near you or read up on further research. Wear loose, comfortable clothes, keep an open mind and prepare to experience a very calming class.